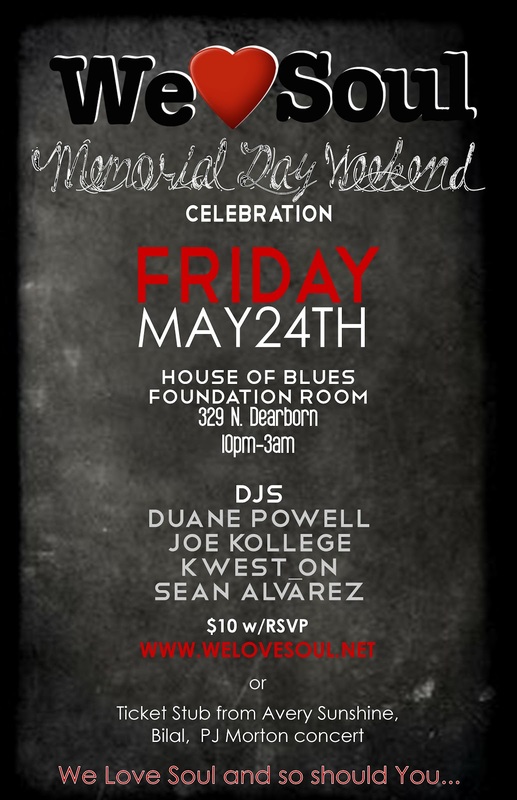 Fri 5/24: We Love Soul Memorial Day Weekend Celebration! We Love Soul Memorial Day Weekend Celebration! and The Official Bilal, Avery Sunshine, PJ Morton after set.